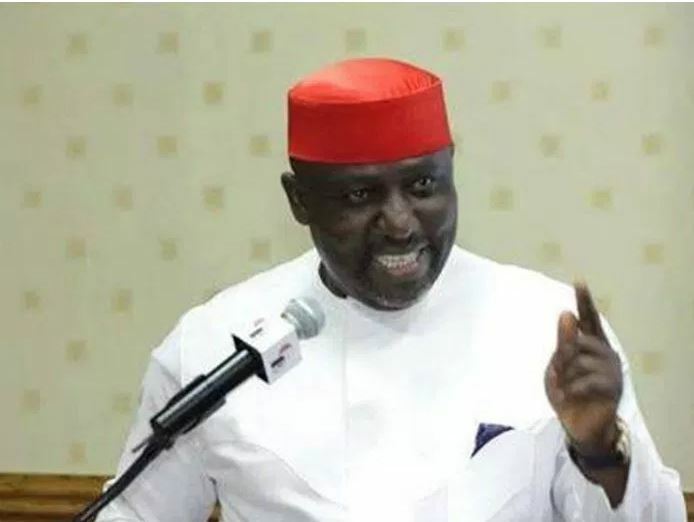 The Governor of Imo State, Rochas Okorocha and his son-in-law, has been warned by the Secretary of the Peoples Democratic Party, Elders Committee in the state against calling for the hands of the presidency and the judiciary into the electoral matter in the state. The statement was made in respect to Mgbewelu’s reaction to the claims by Okorocha and Nwosu’s camp. “And that the presidency has intervened on their behalf, by directing the judiciary to award Okorocha the Imo West Senatorial ticket, whatever the circumstances“. He stated that the claims are bringing the presidency and the judiciary into the electoral disrepute. “The fear of a rigged judiciary is overheating the Imo polity,”.